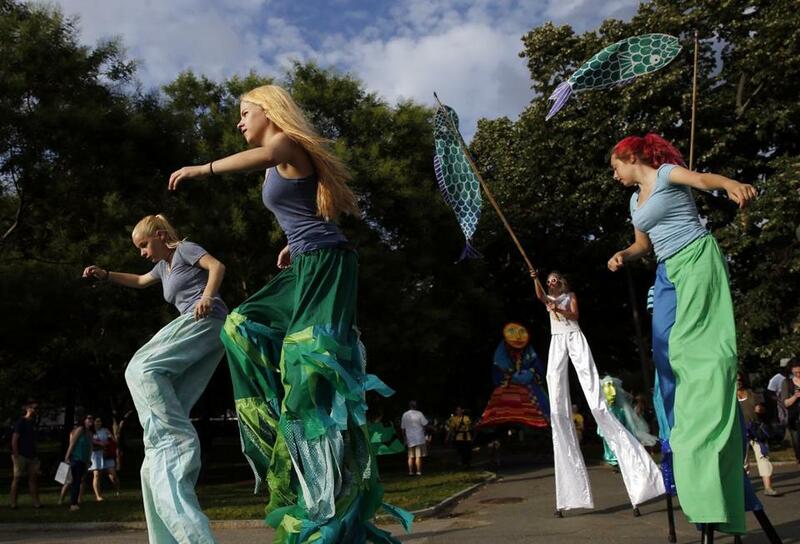 Members of the Boston Circus Guild performed as they kicked off the Outside the Box Festival. Musical acts in a range of genres. And acts of other kinds, too, from puppeteers to stilt-walkers to jugglers. 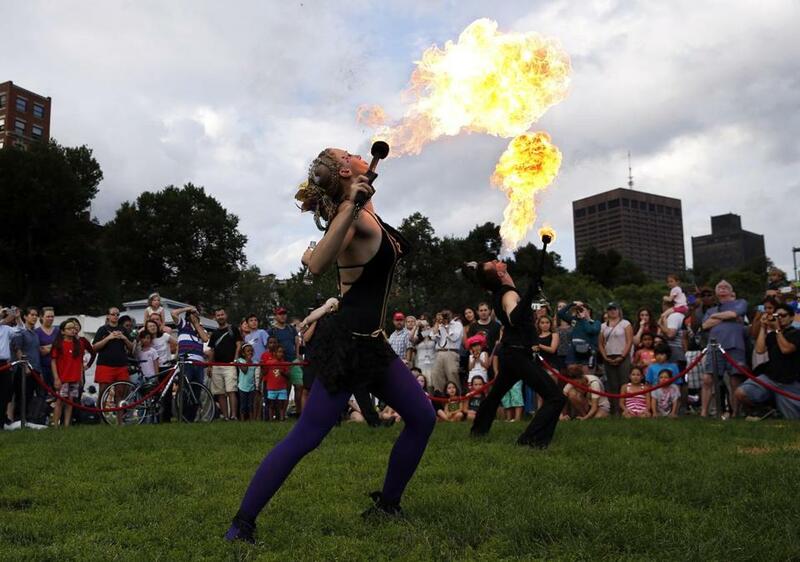 The Outside the Box festival began with colorful energy on Boston Common. 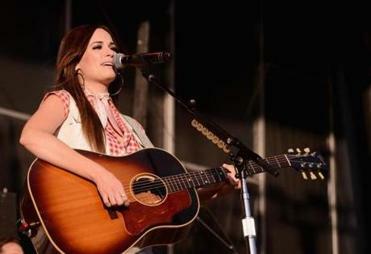 The events and performances are free and continue through Sunday. The festival will begin each day at noon and end around 9 p.m.
For a full schedule of performances, go to www.otbboston.com/site/schedule. Highlights from the upcoming free Outside the Box music and arts festival, which runs from Tuesday to Sunday on Boston Common. 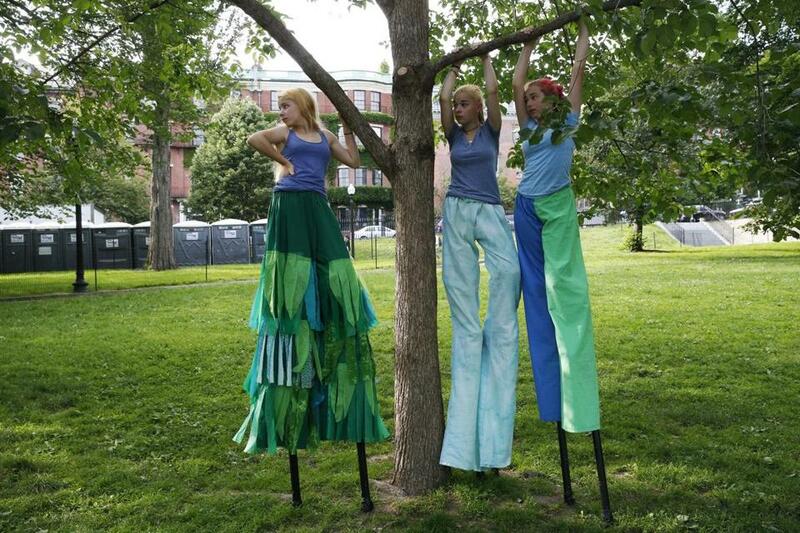 Stilt-walking twin sisters Annie and Lucie Tremblay, 15, of Boston were on the move with Sophia Diers, 15, of Jamaica Plain. Performers with the Boston Circus Guild marched in the parade. 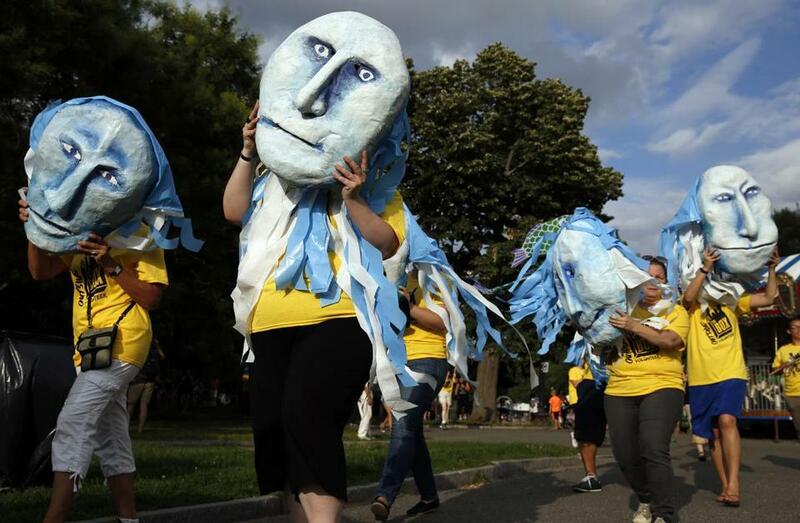 Volunteers held masks made by the Boston Puppeteers cooperative. 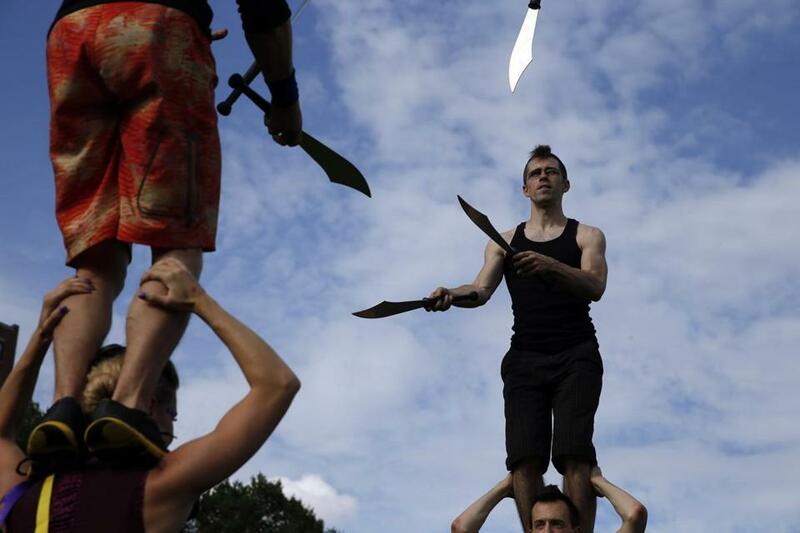 Kira Lapaire of Northhampton (bottom left) held her husband, Rocco, on her shoulders as he juggled knives with Tim Ellis of Brighton (top right) while he stood on the shoulders of Benjamin Reynolds of Somerville as they practiced for the opening. 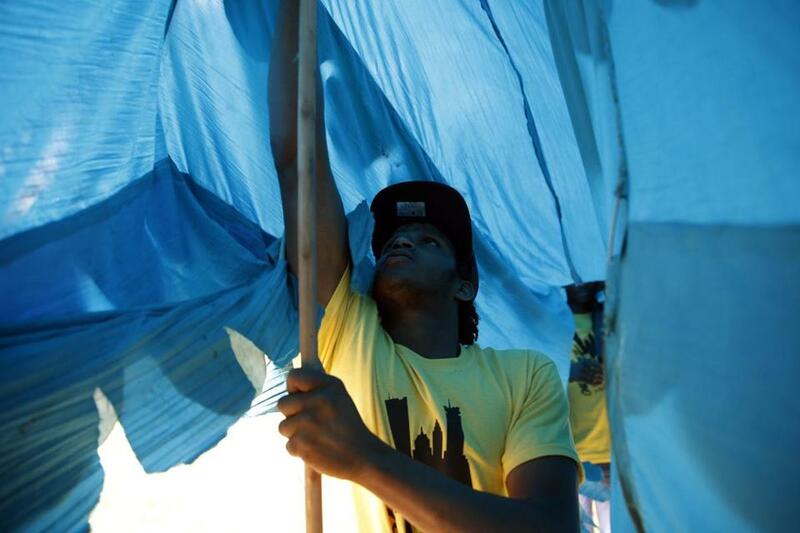 Ravy Fernandes, 22, of Boston maneuvered underneath a puppet made by the Boston Puppeteers Cooperative as he prepared to march in the parade. The Tremblay sisters and Diers used a tree for support as they waited to march in the parade.